What is a TMJ Doctor? Few parts of your body play as many roles in everyday life as your mouth, teeth, jaws, facial muscles, and other related structures. Daily acts of self-expression, such as talking, laughing or smiling, use these structures to shape the sounds we make and help mold our appearance. They also work together to help you enjoy your favorite foods. As you can see, your face and jaw play a vital role in some of the most important aspects of your life. If, however, you suffer from facial pain or problems with your temporomandibular joints (TMJ‘s) your whole world can change. These painful conditions can disrupt nearly every aspect of your daily life. In addition to causing you physical discomfort, facial pain, and TMD can significantly alter your diet, lead to medication overuse, limit intimacy and ultimately be responsible for emotional suffering and frustration. That’s where Dr. Donald R. Tanenbaum can help. With advanced training and over three decades of experience, Dr. Tanenbaum is uniquely qualified to diagnose and treat facial pain, TMD, muscle pain disorders, nerve pain disorders, tension headaches, snoring, and sleep apnea. Equally important, he will treat you with the compassion, understanding and personal attention that you want and deserve. Dr. Tanenbaum has helped improve the quality of life of thousands of patients who’ve suffered from painful facial conditions, and he can do the same for you. While attending Columbia College of Dental Medicine in New York City, Dr. Tanenbaum envisioned having a practice that focused on facial pain, TMD and sleep related breathing disorders. Since opening his doors over 35 years ago, he has achieved that goal. Throughout the years, Dr. Tanenbaum has watched this highly unique area of dentistry evolve and mature. His continual training and ongoing education have enhanced his knowledge and helped him stay on top of the latest diagnostic and treatment methods. Section Head of the Division of Orofacial Pain/TMD/Dental Sleep Medicine in the Department of Dental Medicine at the Long Island Jewish Medical Center. He has also authored scientific articles and given lectures at medical grand rounds and to numerous dental societies and study clubs. Dr. Tanenbaum is a past president of the American Academy of Orofacial Pain and an active member of the American Academy of Orofacial Pain, the American Board of Orofacial Pain, the American Academy of Sleep Medicine, the New York Academy of Dentistry, and the American Dental Association. Treating facial pain, TMD, and sleep disorders effectively means taking into account all the aspects of your health. That’s why Dr. Tanenbaum takes a multidisciplinary approach to your care. He will work closely with other doctors and health care professionals through consultations and continual updates about your treatment and your progress. This collaboration is essential in providing you with excellent, efficient care that meets your unique needs. Dr. Tanenbaum is trusted by medical and dental specialists in nearly every discipline to care for their patients with orofacial pain, TMD and sleep disorders. These include general dentists, orthodontists, endodontists, periodontists, oral surgeons, internists, neurologists, pediatricians, sleep therapists, and ENT specialists. Your care with Dr. Tanenbaum starts with an in-depth health history and discussion of your condition. He will then perform a comprehensive examination and obtain images to help identify the source of your pain or dysfunction. Dr. Tanenbaum offers a variety of hands-on testing methods and will utilize only those that are appropriate to your unique condition. Once your exam is completed, you and the doctor will discuss the findings and he will recommend a treatment plan designed for effective and long-lasting relief. or 631-265-3136 (Nassau and Suffolk). students, 20 hours of orofacial pain/sleep education from January –March. 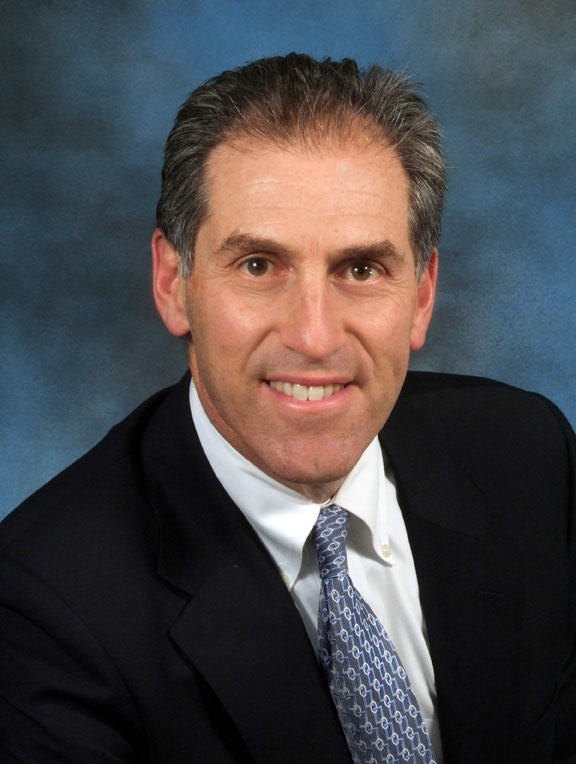 Dr. Donald Tanenbaum is a Board Certified TMJ and Orofacial Pain Specialist. His practice is focuses on TMJ disorders, facial pain, persistent toothache pain, headaches and sleep related breathing disorders. He is a Diplomate of the American Board of Orofacial Pain (one of the few) and a Fellow of The American Academy of Orofacial Pain. 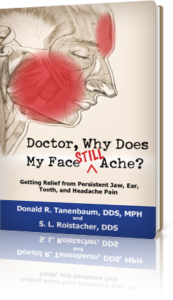 Advanced training and over 35 years of experience makes Dr. Donald Tanenbaum uniquely qualified to diagnose and treat jaw and facial pain problems. He has helped countless patients finally get on the road to recovery. Relief Lives Here.